Packard New Style Pro is a smooth old-style serif font family with a small x-height. It was created and produced by Steve Jackaman (ITF) and Ashley Muir in 2011. 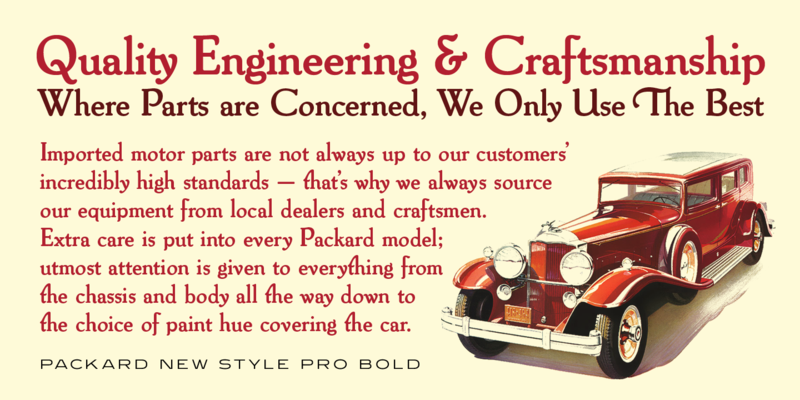 In 1916, Oswald Cooper of American Type Founders (ATF) created Packard Old Style for the Packard Motor Company. 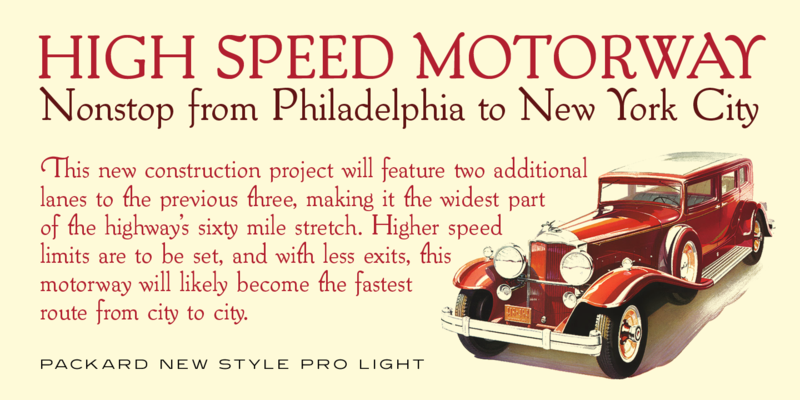 Morris F. Benton, also of ATF, is credited with adapting the original weight and creating an additional bold weight. When Jackaman and Muir updated Packard Old Style for the digital age, Packard New Style Pro came to life alongside it. 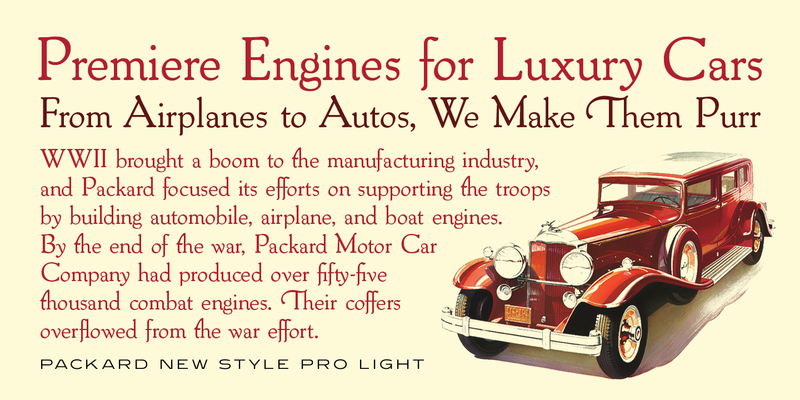 Packard New Style Pro has a glorious golden-age advertising feel, and performs equally well in display and text. Several swashes were developed for added versatility and beauty. 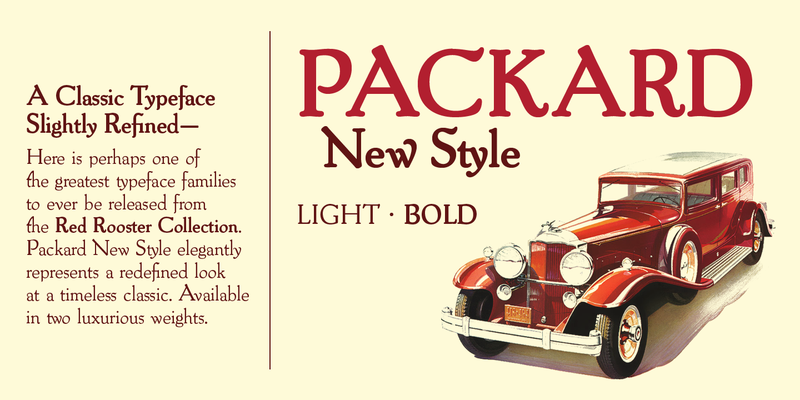 Packard New Style Pro is a trademark of International TypeFounders, Inc.